Encanto Community Church applied for and received a “Neighbors in Need” grant from the United Church of Christ in early 2014. 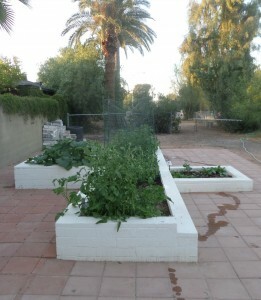 The grant money was to be used to build a Community Vegetable Garden. One of Encanto’s “friends”, architect Alan Robinson, designed the garden in the shape of a cross, lower at one side than the other so that it could be a teaching garden. 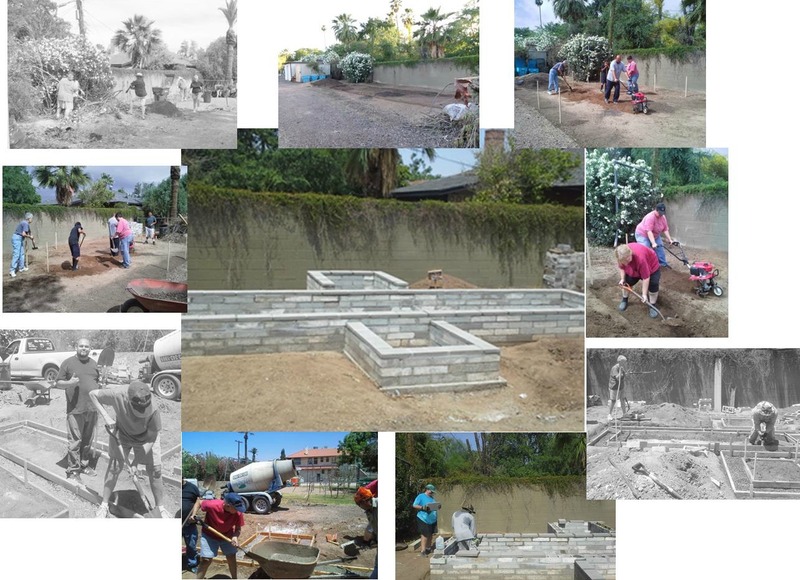 The members and friends of Encanto Community Church began the construction in May of 2014. 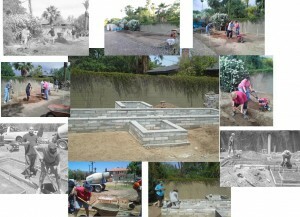 The construction process was led by our pastor, Rev. Gloria & one of our members, Martin Cabrera. We planted our first crops-tomatoes, lettuce, and a variety of seeds-on Sunday, March 15th. We are anxious for the day when we harvest our first crop of vegetables for people in need. In addition to the vegetable garden, we are growing grapes, nuts, and several varieties of citrus and fruit.